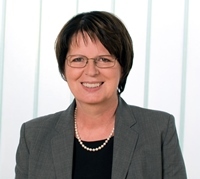 Ingrid Schaumüller-Bichl has got more than 30 years of experience in the area of information security. She has been working in industry and academia, in R&D, education and consulting. In 2006 she became professor at the University of Applied Sciences Upper Austria (UASUA), Campus Hagenberg. Since 2015 she has been the head of the Information Security Compliance Center (ISCC) of UASUA. Her research and development topics include Risk Management, Information Security Management, Cryptography, eID, Smart Cards, Physically Uncloneable Functions, and Critical Infrastructure Protection. She is also working in security standardization and research and technology development. Prof. Schaumüller-Bichl is head of the Working Group IT Security of the Austrian Computer Society (OCG), vice chair of IFIP TC-11 Security and Privacy Protection, and a member of the Permanent Stakeholders Group (PSG) of the European Union Network and Information Security Agency (ENISA).